All Commissioners Court dates for meetings marked as "called" are tentatively scheduled to be held in Presidio at the County Courthouse Annex Building B on O'Reilly St in Presidio. Subject to change. 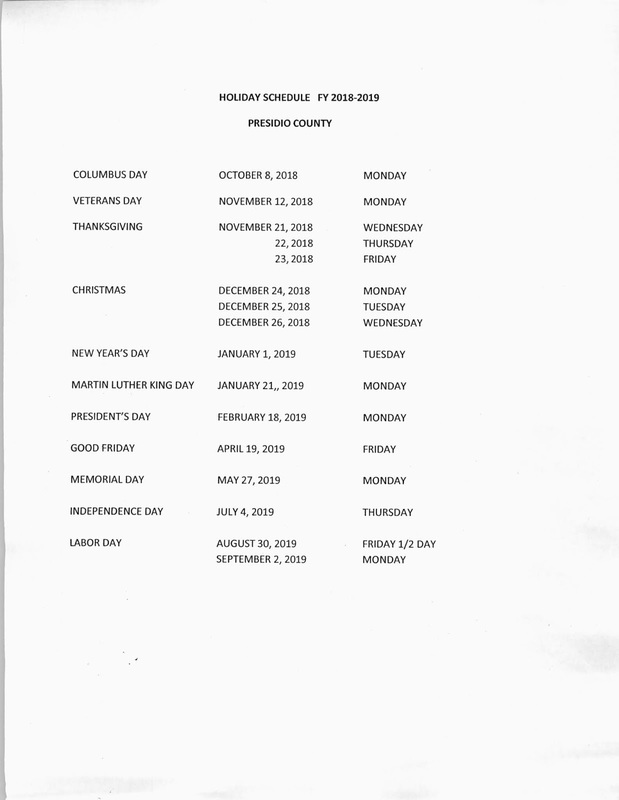 Additional meetings may be scheduled on an as needed basis that are not reflected on this adopted schedule of Regular and Called meetings. All "Regular" meetings are required by law to be held at the County Seat in Marfa and will be at the County Courthouse.